I received a complimentary Applebee’s gift card to facilitate this review. With Labor Day over and kids heading back to school, it’s easy to get into a rut as you wait for the next three-day weekend or holiday. When you’re a couple, it’s still important to take some quality couple time so you can spend time connecting, catching up, and simply enjoying each others company. Setting aside a special date night or movie night is a great way to make sure you and your honey (or you and your family) can have that time to connect. It’s also a great way to just have fun together. Gil and I recently head out to enjoy a late date night at Applebee’s Neighborhood Grill & Bar with some good food, good drinks, and to have some good times. If you haven’t been to your local Applebee’s here are 4 reasons why you should consider having your date night at Applebee’s. 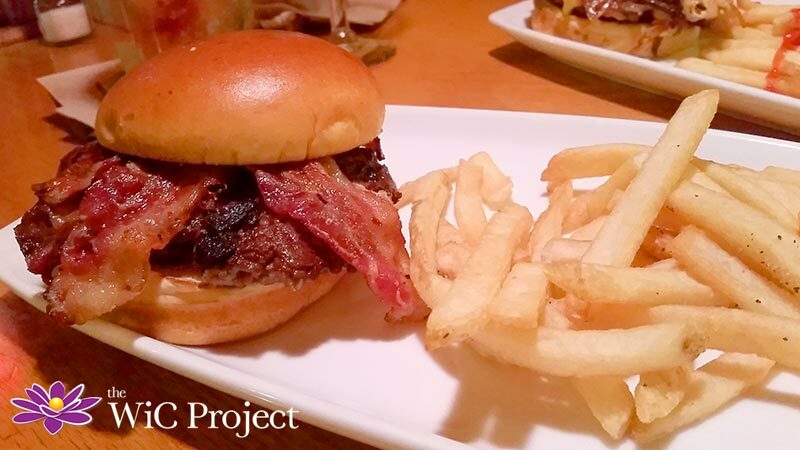 You’re missing out if you haven’t tried Applebee’s new handcrafted All-In Burgers. These burgers go beyond just the traditional beef patty. When they cook these burgers, they actually sear-in different flavors for the ultimate burger experience. Gil’s go-to burger is the All Day Brunch Burger which has bacon & onion seared in. It’s topped with cheese, ketchup, crispy hashbrowns and a fried egg. For me, it’s the Triple Bacon Burger. The perfect burger for bacon lovers, it has bacon seared in to the patty, bacon on the patty, savory BBQ bacon ranch, and cheddar cheese. (I skipped the cheese.) Because these burgers are handcrafted when you order, you’re still able to customize your burger. For example, you can skip having the onions seared in if you choose. When you get the burgers, you can really tell that they’re handcrafted. No pre-formed, perfect circle meat patties here. My patty was actually bigger than the burger buns, which isn’t something you typically see. Our burgers were perfectly cooked, juicy and had tons of flavor. Gil even got another All Day Brunch Burger to-go so he could enjoy one the next day. Their current menu offers a variety of Wood Fired Grill options, including sirloin steak, bone-in pork chops, and grilled chicken breast. When we walked into our Applebee’s, we saw a stack of freshly cut wood that they use for their grill. Yup – real wood for their real wood fired grill. 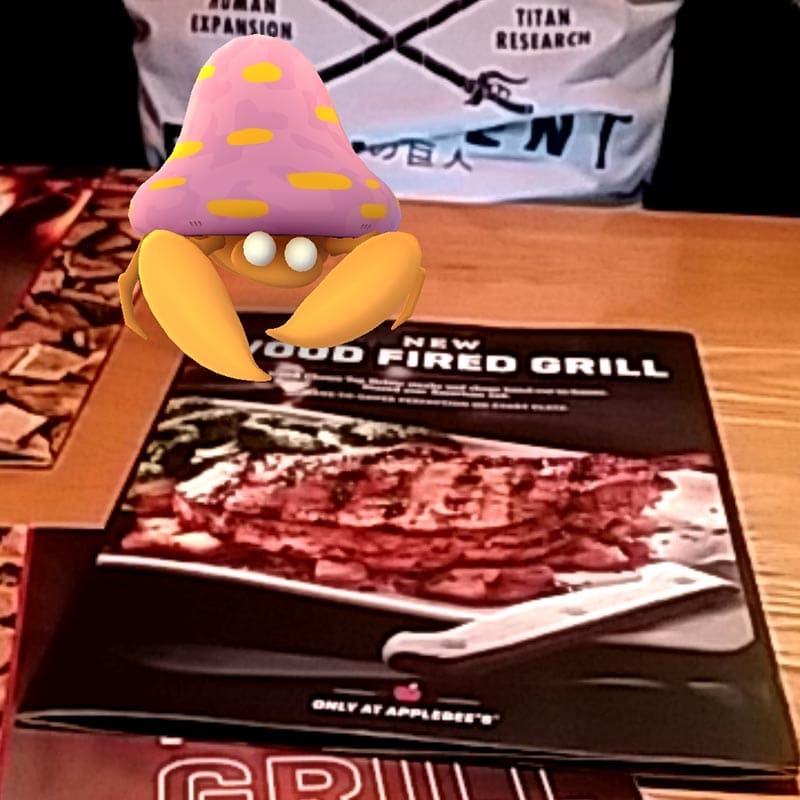 While we were browsing the menus, a few Pokemon showed up to say hello. 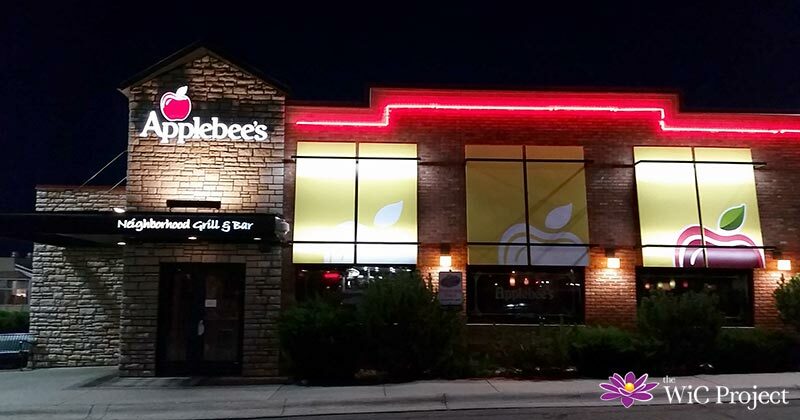 Beyond catching Pokemon, Applebee’s has a laid-back, fun atmosphere that combines casual dining with a sports bar. We’ve been to Applebee’s several times, both when it’s been packed and when it’s quieter. We’ve never found it to be too loud. For those interested in watching the latest games, they have tall tables around the bar that allow you to watch your favorite teams while enjoying your meal. During the warmer months, we always grab one of their outdoor tables. I’d also like to mentioned that the service we’ve received at Applebee’s has always been top notch. For those of us who are more techie, you can use their tableside tablets to place your order, call for a server, or even pay your bill. Sometimes you might want to enjoy a nice drink with your meal. 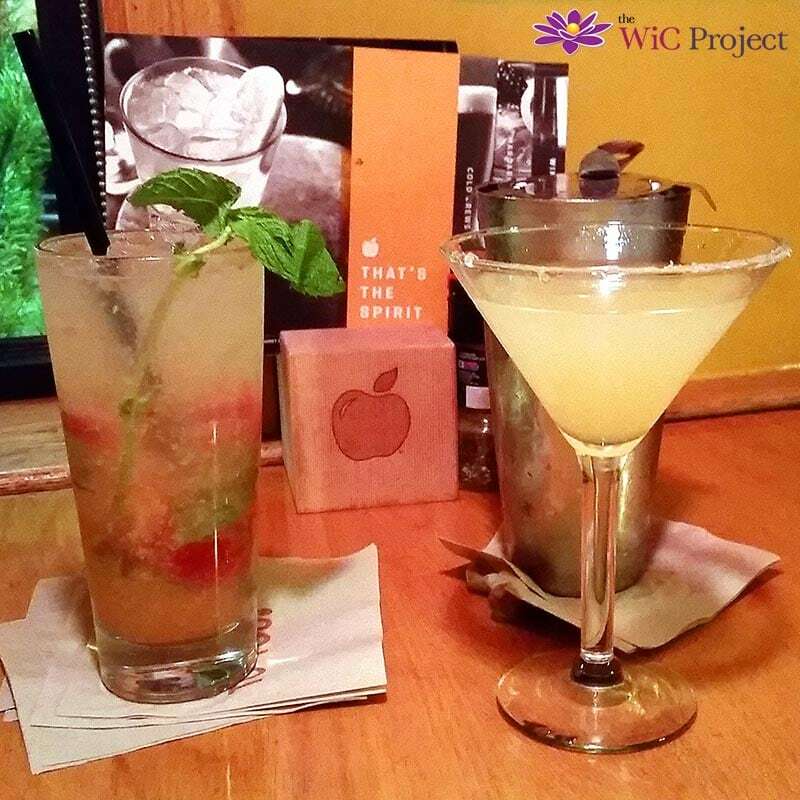 In addition to their non-alcoholic beverage selections, Applebee’s offers a variety of cocktails, beers, wines and sangrias. For our date night, I grabbed a Strawberry Citrus Summer Squeeze and Gil ordered a Perfect Margarita. Both drinks were mixed perfectly. Mine has freshly crushed strawberries and a sprig of mint. I think it’s a nice touch that they brought the shaker for the margarita. If you want to spend your date night indoors, you can still enjoy Applebee’s food. I recently discovered that our local Applebee’s accepts online ordering. You can place your entire Applebee’s order online, then head out to the restaurant to pick-up your food when it’s ready. 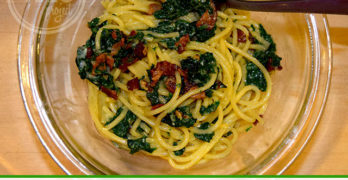 I’m a big fan of online ordering just because it allows me to place and pay for the order while at home. Currently, Applebee’s is offering a $5 discount on online orders of $25 or more. If your local Applebee’s doesn’t yet accept online ordering, you can still call-in your order and pick it up curbside. Most Applebee’s have special Carside To Go parking and will bring your order out to you so you don’t even need to get out of the car to get your food. I ordered dessert to-go at the end of the meal. The care they took in making my to-go box look just as fancy as it would if I’d eaten in the restaurant was impressive. 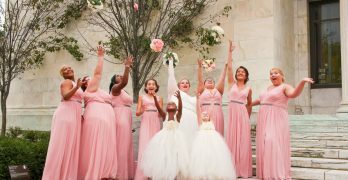 Look at all the chocolate swirls! Our local Applebee’s Neighborhood Grill & Bar has always been a great option for our date nights. From the atmosphere to the food, they’ve consistently delivered. We’ve never left the restaurant still hungry and the experience was always a lot of fun. Through September 9th, have a date night at Applebee’s and you could win a date package or Applebee’s gift card in the Applebee’s #BestDateEver Sweepstakes! Just snap a photo of you and your date and tag it with @Applebees and #BestDateEver and #Sweepstakes hashtags on Twitter or Instagram to automatically be entered to win. 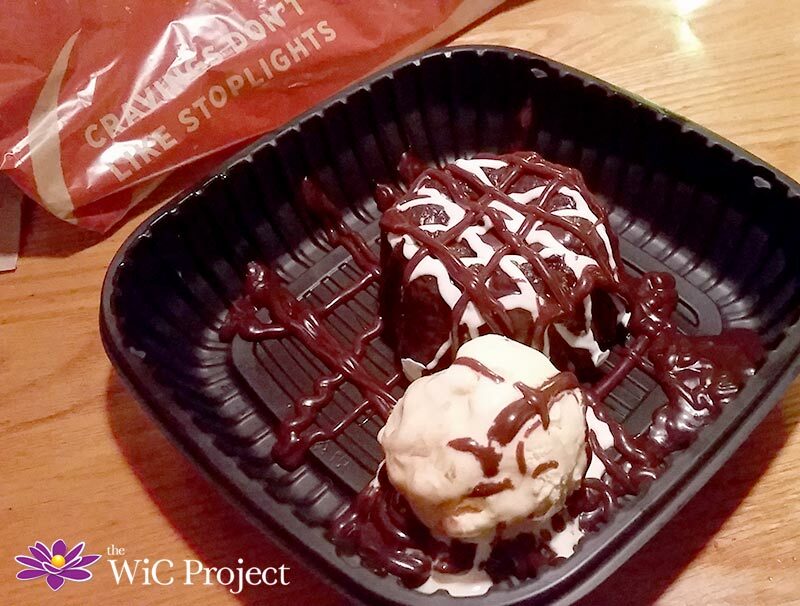 If you decide to order to-go, you can also snap a pic of the Applebee’s Carside To Go bag wherever you and post the photo tagging @Applebees #BestDateEver #Sweepstakes to enter. 20 lucky Applebee’s fans will be selected to win local date packages and gift cards to enjoy more food from the Applebee’s Wood Fired Grill. Head out to your Applebee’s Neighorhood Grill & Bar today to enjoy your best date ever and for your chance to win!